A poll commissioned by the Telegram suggests the issue could benefit Gov. Paul LePage. The more Mainers become familiar with the bear-baiting referendum question, the more they oppose a proposed ban on the practice. Question 1 on the November ballot asks voters if they want to ban the use of bait, dogs or traps in bear hunting. According to a Portland Press Herald/Maine Sunday Telegram poll conducted by the University of New Hampshire Survey Center, 53 percent of Mainers oppose the ban and 41 percent support it. Six percent of voters are undecided on the issue, which has drawn significant spending by interest groups and may also be a sleeper issue in the Maine governor’s race. The poll of 441 likely voters has a 4.4 percent margin of error. When the newspaper asked the same question in its June poll, 48 percent of voters supported the ban, 44 percent were against it and 8 percent were undecided. The June poll also asked how familiar voters were with the issue. Thirty percent said they knew nothing about the referendum, and another 30 percent said they knew a little. The new poll found that Mainers are becoming more familiar with the issue. 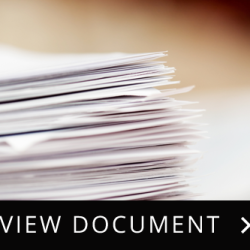 Thirty-seven percent said they know a great deal about it and 29 percent said they know a fair amount. The number of voters who said they know nothing about the issue dropped to 8 percent, while those who know a little decreased to 25 percent. According to an analysis of the results, voters who know a great deal about the referendum continue to oppose a ban by a wide margin (65 percent to 31 percent) and those who have heard a fair amount oppose it by a smaller margin (53 percent to 39 percent). Democrats slightly support the ban, 49 percent to 43 percent, while independents oppose it, 56 percent to 40 percent. Republicans oppose it 67 percent to 28 percent. Andrew Smith, director of the UNH Survey Center, said the question could affect the gubernatorial race. 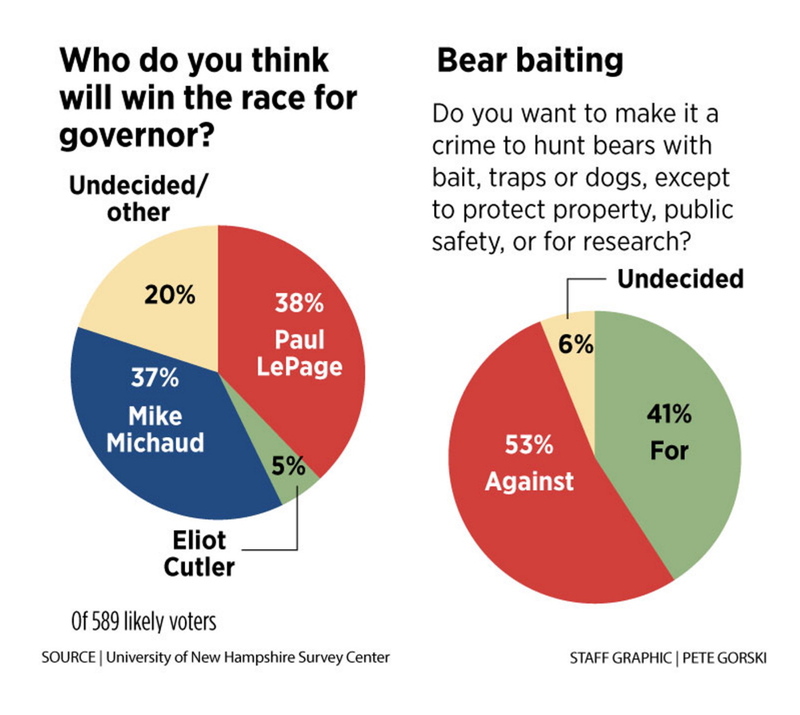 The referendum has not been an issue in the race for governor, although all three candidates oppose the bear-baiting ban, a position backed by the group Save Maine’s Bear Hunt. The LePage administration has been a vocal opponent, more so than his two challengers. Smith said it could remain in the background of the race but still affect the outcome: Republican Gov. Paul LePage could benefit from the issue without using it in his campaign, while Democratic U.S. Rep. Mike Michaud and independent Eliot Cutler may have to tread lightly. Smith said it might be unwise for Michaud to vocally oppose the bear-baiting ban. There is some evidence that voters who wouldn’t normally vote in the midterm election are motivated by the referendum. Rachel Leichliter, 30, of Connor Township said she’s largely undecided in the governor’s race but leaning toward LePage because of the referendum. Her husband, a licensed Maine Guide, opposes the bear-baiting ban. The couple own and manage a construction company and lodge in the state’s Unorganized Territory.